Everyone wants to check bank balance and keep a track on their bank accounts. Smartphone’s, internet and banking system together has made this process easier by providing the facility to check your bank account details online. But what in case of those people who don’t have a smartphone or internet connection? Now you can check your bank balance and a few other details of your bank account without internet also. Let’s see 2 methods of checking your bank balance when you do not have internet and also you want the information quick fast. 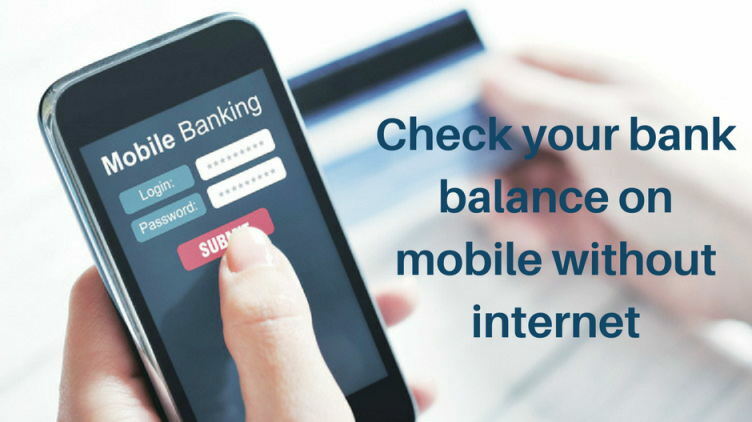 This is a very simple process by which you can check bank balance easily without having an internet connection. As I said earlier, it is a very simple process which will be completed in just 2 simple steps. After 2-3 rings your call will be disconnected and you will receive a message which will show you your bank balance and mini-statement of last 5 transactions. If your number is not registered to the bank, you will get an SMS which will show that your number is not registered with the bank and it will also include details of how to register your mobile number. Given below is the list of banks and the 10 digit contact numbers which you can use to know your bank balance and mini-statements. You can simply save the related number of your bank in your contacts list and you can easily check your balance anytime. This facility is completely free for everyone. To get the benefit of this facility your mobile number should be registered with your bank account. If you have more than one account, then your latest opened account will be considered as a default account and you will get the details of that account in this facility. However, the default account can be changed. These features are the same for all banks. However, the process might be different in some of the banks. The code *99# is also called as USSD code which is not related to any particular mobile network service providers or any bank. This facility is introduced by NPCI to provide the facility to common people to have an easy access to their bank account. Dial *99# from your mobile. Select the option of bank balance from the list which will be opened on your screen (which is most probably 3 for all users). Then enter the 3 letter name of your bank or first 4 letters of your IFSC code. 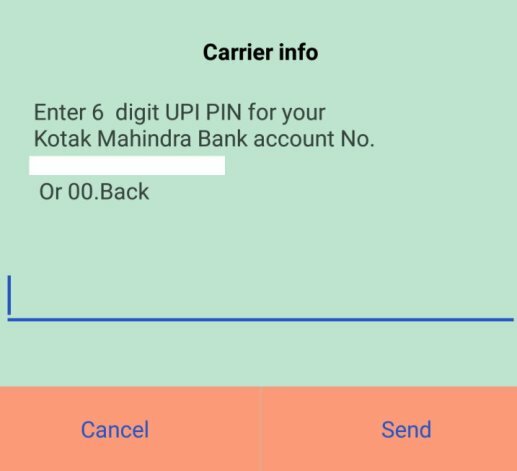 It might ask your UPI pin if you are already registered for that. Enter 3 letters of your bank name (for e.g. SBN is the 3 latter name for State bank of India) or first 4 letters of your IFSC code (OR UPI pin). Your account balance will be shown on your screen. This facility is a relief for those people who can’t have access to the internet all the time. This unique code has some basic features which you should know if you are going to use it. This code works without internet. No hidden charges or roaming charges are applicable on use of this code. It works across all the GSM service providers on all kinds of mobile handsets. You can use this code 24/7 including holidays. No need to download an app or activate any service on your mobile phone. What kind of services you will get under *99#? *99# is a USSD based mobile banking facility introduced by NPCI which brings together the two diverse ecosystem partners i.e. Banks and Telecom service providers. Apart from the balance inquiry this banking system also provides some other facilities which are listed below. Let’s have a look at those facilities. Send Money Using IFSC code and bank account number of the beneficiary. Generate or change MPIN or Mobile PIN. Send Money Using Aadhaar number of the beneficiary which must be linked to his bank account. 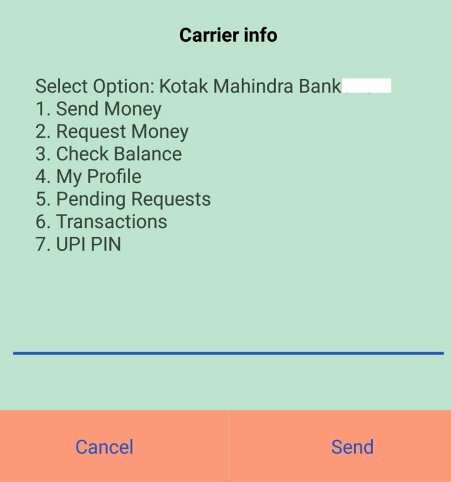 Send Money Using MMID and mobile number of the beneficiary. The only difference between these two methods of mobile banking is that by using missed call service you can know your bank balance and mini-statement only. On the other hand, if you go for USSD code service, you can also transfer money from your account to any other account by using his mobile number and MMID OR account number and IFSC code or even Aadhaar number. Isn’t a very easy way to know your bank balance without any internet connection? I hope you enjoyed the article. What do you think, is this facility helpful or not? Leave your opinions in the comment section. thank you sir, this article help me and my family. Very useful information.thanks to jago investor team. Thanks for your comment stock market advisor .. Please keep sharing your views like this.. Thanks for your comment Natarajan .. Please keep sharing your views like this.. Very informative article . It is very useful for those who don’t have internet connection or smart phone. Keep it up. All the very very best. Post these type of informative articles regularly so that more and more people benefitted from it.. Thanks for your comment Gurpreet Dhami .. Please keep sharing your views like this.. The above article is enlighetening and very useful. Thank you. Thanks for your comment B.K.Sreenivasan .. Please keep sharing your views like this.. This is a very good and useful article. Thanks for your comment M C Gupta .. Please keep sharing your views like this.. Thanks for your comment niranjan .. Please keep sharing your views like this..